From an American master comes another “beautifully languid, emotionally intense tale” (Entertainment Weekly), this time of a newspaper editor’s fateful decision to expose a small-town fugitive. Ned Ayres, the son of a judge in an Indiana town in midcentury America, has never wanted anything but a newspaper career—in his father’s appalled view, a “junk business,” a way of avoiding responsibility. The defining moment comes early, when Ned is city editor of his hometown paper. One of his beat reporters fields a tip: William Grant, the town haberdasher, married to the bank president’s daughter and father of two children, once served six years in Joliet. The story runs—Ned offers no resistance to his publisher's argument that the public has a right to know. The consequences, swift and shocking, haunt him throughout a long career, as he moves first to Chicago, where he engages in a spirited love affair that cannot, in the end, compete with the pull of the newsroom—“never lonely, especially when it was empty”—and the “subtle beauty” of the front page. Finally, as the editor of a major newspaper in post-Kennedy-era Washington, DC, Ned has reason to return to the question of privacy and its many violations—the gorgeously limned themes running through Ward Just’s elegiac and masterly new novel. 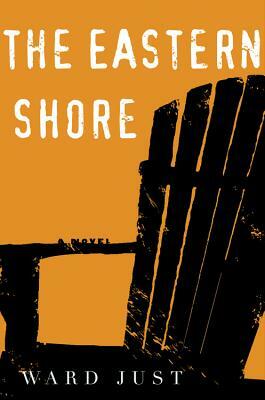 WARD JUST's novels include Exiles in the Garden, Forgetfulness, the National Book Award finalist Echo House, A Dangerous Friend, winner of the Cooper Prize for fiction from the Society of American Historians, and An Unfinished Season, winner of the Chicago Tribune Heartland Award and a finalist for the 2005 Pulitzer Prize.